Toddler Approved! 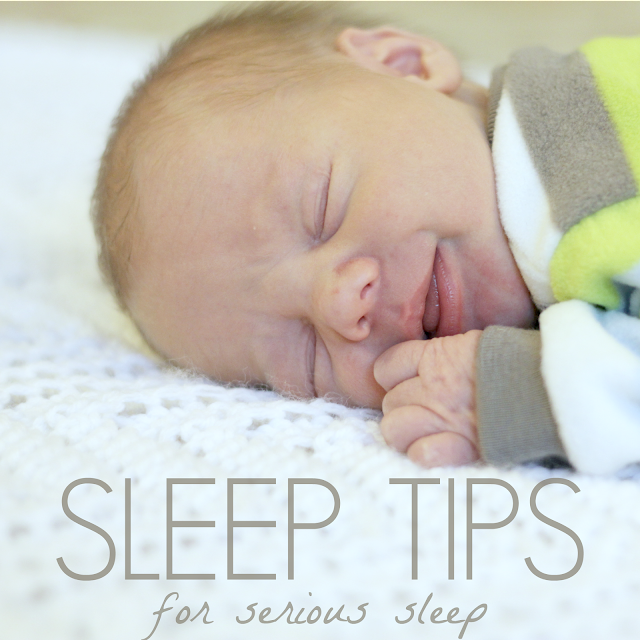 : Sleep Tips & Big Dreams, Serious Sleep Giveaway with Marpac! Sleep Tips & Big Dreams, Serious Sleep Giveaway with Marpac! This post is sponsored by Marpac, makers of the Dohmie Serious Sleep Baby Bundle. Sleep is something I dream about on a daily basis. I like to stay up late and be productive and my kiddos like to wake up during the night and then get up early... so that means that I don't get much sleep these days. How do your kids sleep? Do you daydream about getting more sleep too? 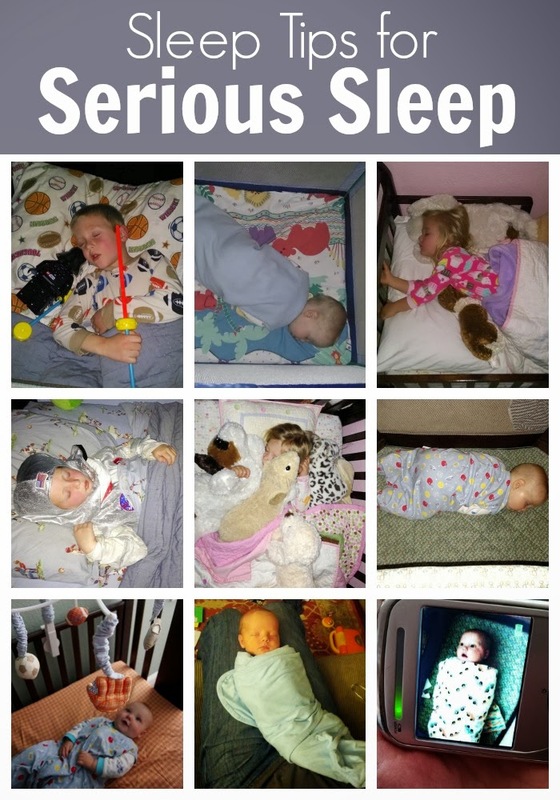 I am constantly on the look out for ideas to help get my kids to sleep on time, stay asleep, sleep in their beds, put themselves back to sleep if they wake up, fall back asleep if they have nightmares, and then of course sleep in longer in the morning. It depends on the night of course, but so far I haven't had much luck finding the perfect solution to get the kind of sleep I want... or my kids need. According to my friends with older kids... I might never actually sleep again until my kids leave for college... and then even then, I might be up worrying about them. We keep a pretty consistent bedtime routine and sleep schedule during the day. The actual time the light goes out can vary by 15-20 minutes, but the routine before bed is the same every night as is the naptime schedule. Our bedtime schedule includes, making sure rooms are picked up, teeth are brushed, pajamas are on, kids go to the bathroom and get a drink, stories are read, prayers are said, and then hugs and kisses are given before the light flips off. Sometimes we even use our chore sticks to help the kids stay organized. We use a white noise machine for our kids who need it (like the Dohmie Serious Sleep Baby Bundle). My 5-year-old is a huge fan of white noise and has a hard time not having his fan going at night. He falls asleep much quicker and stays asleep longer when we have white noise on. 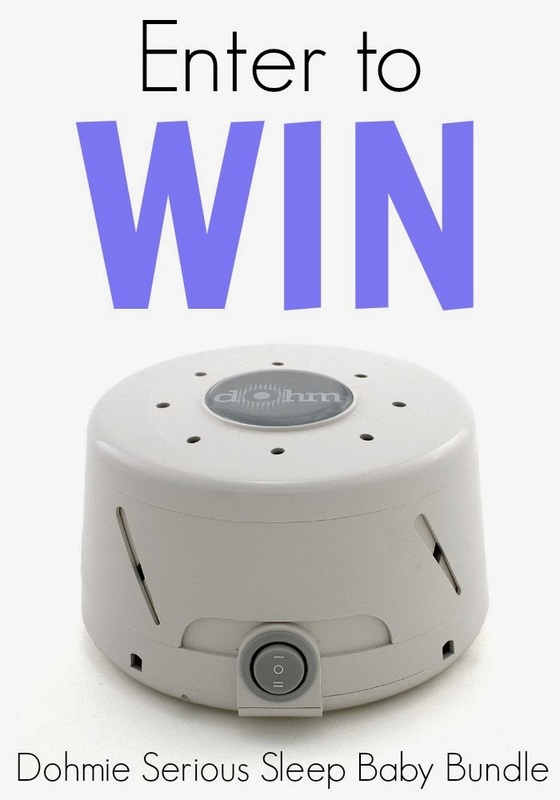 My 3-year-old has never used white noise, but she has struggled with sleeping for the past year, so we may be trying the Dohm with her next. My 1-year-old loves white noise and I do too since his two older siblings can be SO LOUD when he is sleeping. Up until recently we've always used fans in our kid's rooms because we've never had a white noise machine. We've had friends who use iPods with white noise sounds on them, but we don't have extra iPods around that we've wanted to use for our kids... so we've just had loud bedrooms that sound like wind tunnels. 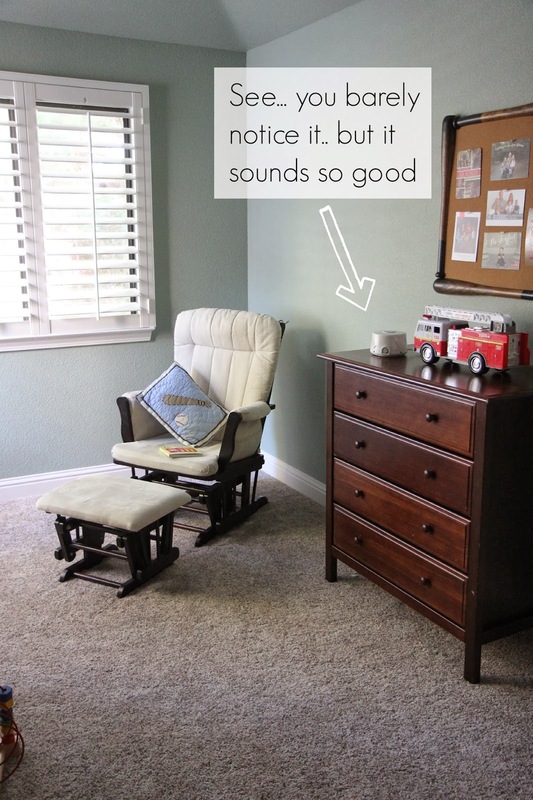 We have been loving our Dohm because it is small, can be set on a dresser (up high away from kids), is a bit quieter and is less windy, but still does a great job masking sound. We use a modified version of A Mom with a Lesson Plan's Better Bedtime Routine with our older kids. It has made putting the kids to bed much easier. With our younger kids they just mostly go right to bed, other than a few extra drinks that the 3-year-old needs sometimes. My 5-year-old sometimes stays up reading or fiddling with toys, but will put himself to sleep every night now that we've ended the bedtime power struggle with him. 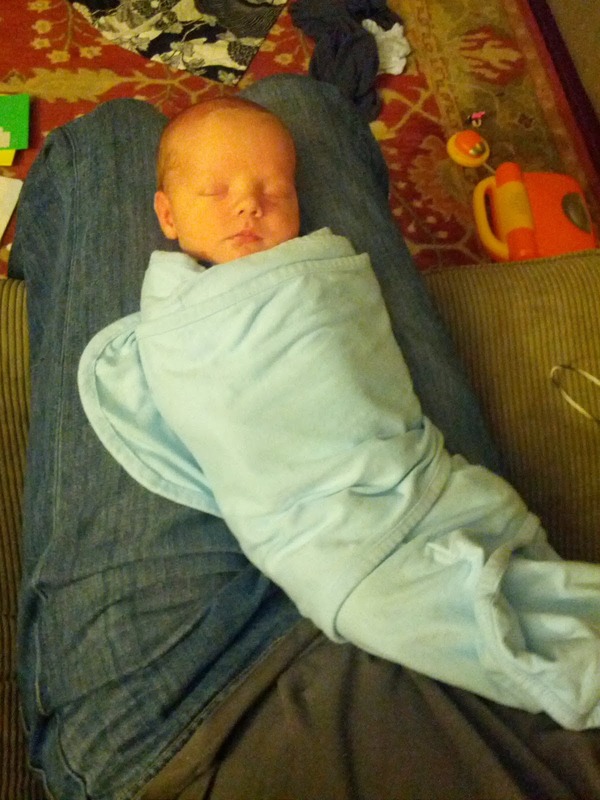 We swaddle our babies and use sleep sacks for our toddlers. They are so cozy! I wish they made them for adults. We try and fill the attention basket during the day (like Amy McCready suggests) by spending 1 on 1 time with each kid so that the kids are less demanding of our attention at night. Oh boy it sure is obvious at bedtime if those attention baskets haven't been filled!! If only I remembered this tip every day... I think it would make bedtime so much easier. On the nights that my 3-year-old daughter wants 10 extra hugs and comes out again and again, I promise myself that I will spend more time being present with her the following day so that her attention basket is filled! 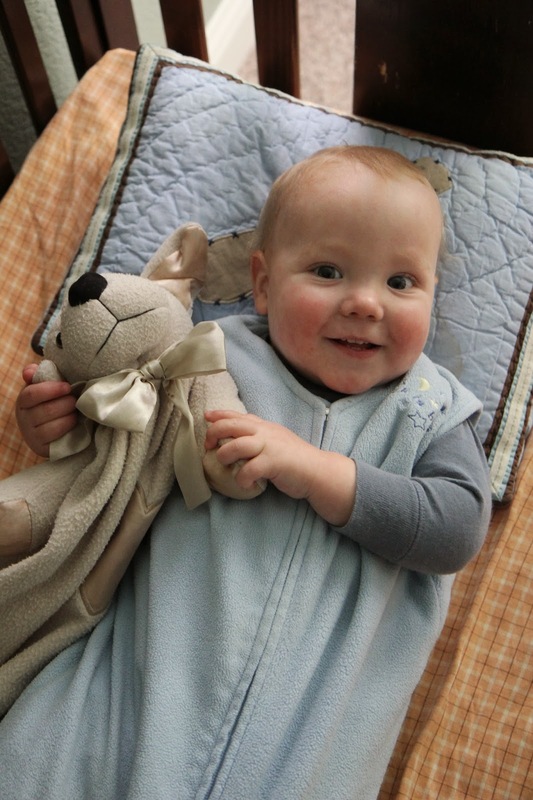 We encourage the use of a security object such as a blanket or stuffed animal for our kids who seem to need one. 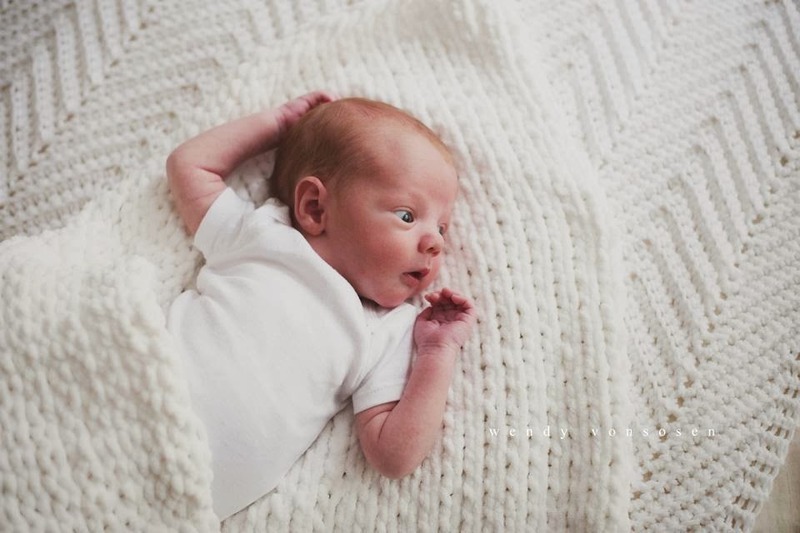 My littlest guy is in love with this cozy cotton white blanket a friend handmade for us. Love it! I need one in my size. We take turns as parents getting up in the night to help with kids and we also take turns sleeping in on the weekends. My husband and I try our best to support each other to make sure we both get the sleep we need... which is hard! We typically take turns sleeping in on the weekends while the other one gets up early with the kids and tries to keep them quiet(ish) and occupied... and then we switch the next day or next weekend. We also take turns taking naps if we are really feeling sleep deprived on the weekend. It makes such a difference to work together as a team! Alright, so now I want your tips! What works for you to help your kids sleep through the night, get to bed on time, put themselves back to sleep when they wake up, etc.? Do you daydream about sleep like I do? How do you stay sane on little sleep? Marpac not only wants parents and kids to get serious sleep... they also want us to share our BIG DREAMS for our kids (which are hopefully more than just sleeping through the night)! 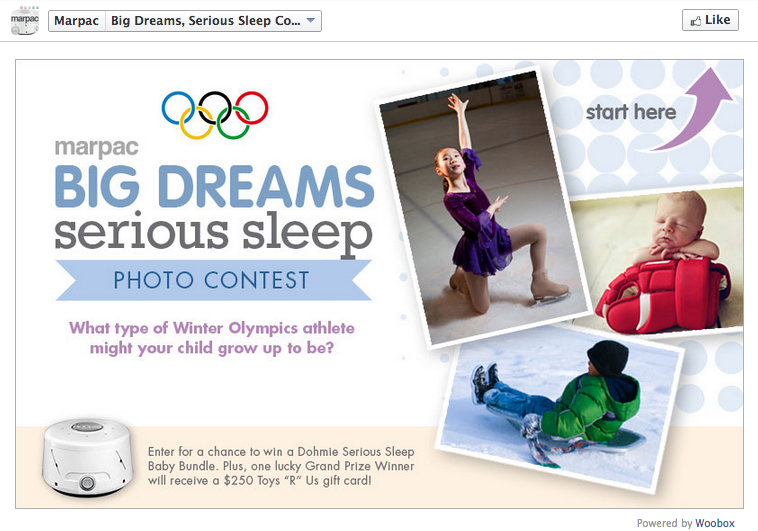 Join in with Marpac's Serious Sleep Olympics photo contest on Facebook and enter to win some cool prizes. Click here to learn more. Marpac wants to give ONE Toddler Approved reader the opportunity to win their own Dohmie Serious Sleep Baby Bundle (valued at $50)! Read below for more details. It is decently small (7.5 x 7.4 x 4.0) and weighs 2.3 lbs. It rests easily on a dresser and is white so it doesn't stand out too much and distract from other room decorations. It also isn't too colorful and fun looking, so my kids don't try and play with it... which is great! It is really easy to use. All you do is plug it in and press up for less sound and down for more sound. EASY! This is perfect for non-techie people like me. It comes with a 1-year limited warranty; 30-day satisfaction guarantee. Every time we turn it on my 1-year-old giggles. He loves the noise and it is a great signal for him that it is time to grab his stuffed doggie and go to sleep. It is portable. We can easily move it around the house or throw it in a bag to take with us somewhere. The winning entry will be drawn on Wednesday, February 26th. I will notify the winner via email. Disclosure: This review and giveaway is sponsored by Marpac. I was compensated for the time and effort I spent reviewing the product and hosting the giveaway. Compensation does not include a positive review. All opinions shared in this post are mine! You may not have the same opinions. This is a wonderful sleep tool. My whole family uses a "sound machine". Activities can resume while kids/babies and even adults sleep without disruption. We never leave home without our sound machine! I cheaped out on my sound machine and wish I got a Dohm after hearing all the excellent reviews! I wish I had a Dohm! I would stand in my daughters room making "swooshing" sounds if that meant she would sleep better! I love white noise and sleep with it every night, so does my baby. My preschooler recently quit sleeping wit his though. right now i am getting no sleep , my 5 week old baby doesn't allow it and he wants me not my husband so no help from him!! i hope he gets better before i have too go back to work!! That stage is so hard!! I remember that time vividly with my last son. I promise you it will get better :) My favorite book to read was Healthy Sleep Happy Child but many friends strongly recommend The No-Cry Sleep Solution. Both are good resources but at that age a lot us just developmental. Hang in there! definitly going to read it!!! Good luck. As your baby gets older, keep trying with your husband on a consistent basis. We didn't, and now I have a 3.5 yr old and a 21 month old who both just want Mummy at night. It's exhausting!! We use the same lullaby CD with our toddler son at naps and bedtime consistently. He knows that music means it's time to rest/sleep. It's a Baby Einstein CD. We use white noise everyday. With a small house it helps. I think sleep has been the hardest part of parenting so far. Never heard of this...we've always used a fan. We are expecting our first baby in May, this would be awesome! We use white noise for our 15 month old. 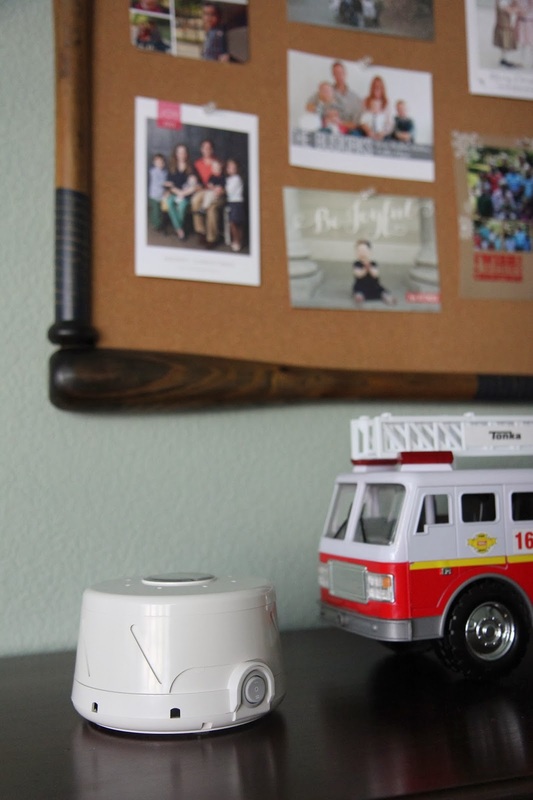 We use cool mist humidifiers year-round for white noise. We just don't put water in them in the warm months. We found they make the noise without too much "wind". My 5 1/2 year old is definitely one that needs his attention-bucket filled to the brim before bedtime! We have an ocean clip from iTunes on repeat all night - drowns out the household noises during light sleep. Now with a 2nd baby, we don't have another iPod, so the Dohmie looks intriguing. We stick to routine!! Luckily my kids are both super sleepers, but it helps when we do our regular bedtime routine every night; baths, pajamas, teeth brushed, wrestle/rough house time, scriptures, stories, family prayers, hugs and kisses, then tucked in!! They know what to expect and are usually so worn out from our day that they don't even fight bedtime (usually, haha!). We are big fans of white noise! I recommend it to all my mommy friends! My little ones each have a "lovey" to sleep with too. We try to stick to our routine, brush teeth, read books and extra snuggles! we loved the swaddles too! we loved the swaddles too, so that would be my tip! Halo Sleep sacks and sound machine are our two tips. We use this sound machine for our two year old and have another one on our wish list for the baby due in March. The sound machine is key for us! We also use the sleep sacks and right now are using the magic sleep suit for our little guy who needs the extra snug! My tip is go with what you are used to. I tried following a set schedule, but I have never been able to do it, because it is just not me. So why am I trying to make my kids follow it if I can't even follow it. I just paid attention to each of their ques and and ran with it. Don't feel like you have failed because you are not a text book family on scheduling bedtime, we sure are not. Following a strict bedtime routine has helped my two boys who both have Autism sleep at night. My oldest uses a sound machine, but I need one for my youngest, too. Oh, I do miss sleep! I have to wonder where the energy comes from. I would love to give this a go! My 2 And Half Used To Be a very good sleeper. Now she won't go to sleep unless I m next to her and very anxious if I leave the room. And after an hour or so she comes crying to our bed. I don't know what to do. Advice ? I've been thinking of purchasing a white noise machine for a while. I have a hard time staying asleep all night and I'm also a light sleeper, especially days when I'm particularly stressed..
Hi, I used a white noise machine for my baby. And I understand that, the benefits of it gives is amazing.